In last week’s video tutorial I explained a bunch of techniques for creating letterpress style print effects in Photoshop and Illustrator. 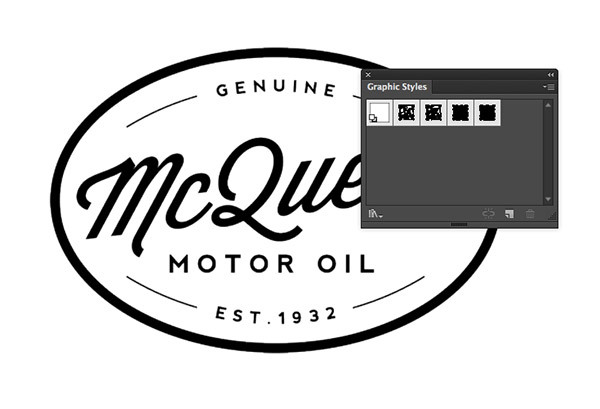 One of those techniques looked really great in Adobe Illustrator, so I thought I’d share a ready made version so you can instantly apply those cool ink stamp effects to your logos and typography illustrations with just a click of a button! This free download contains 4 free Graphic Styles for Adobe Illustrator that give your artwork the appearance of a hand made inked print. This pack of 4 Graphic Styles for Adobe Illustrator adds grungy textures to your logos, typography and any other single colour shapes. 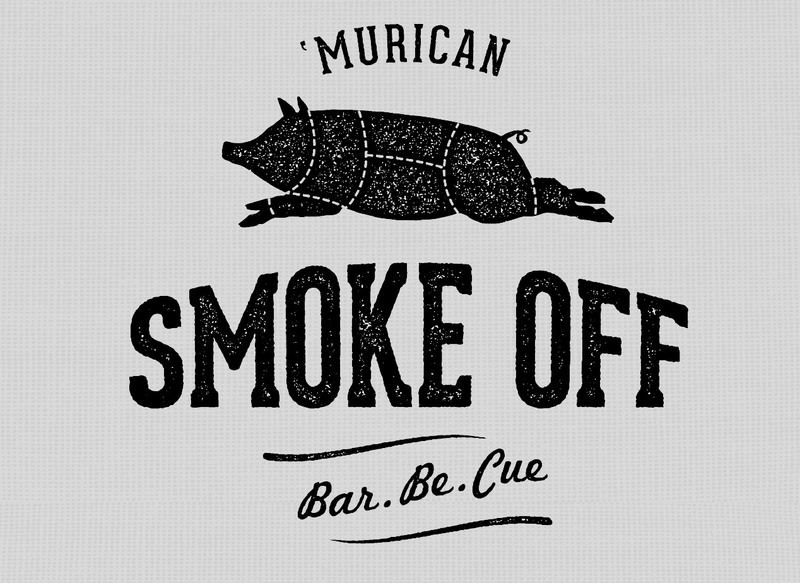 Eliminate those clean vector lines and give your designs a trashy, hand made ink print appearance! There’s different levels of texture detail, so you can choose how much to distress your artwork. The download package contains an Illustrator Style .ai file, along with a normal Illustrator document containing styled elements. Load the Styles file directly into the Styles panel, or copy/paste the elements from the document into your own design file to transfer the Style swatches. 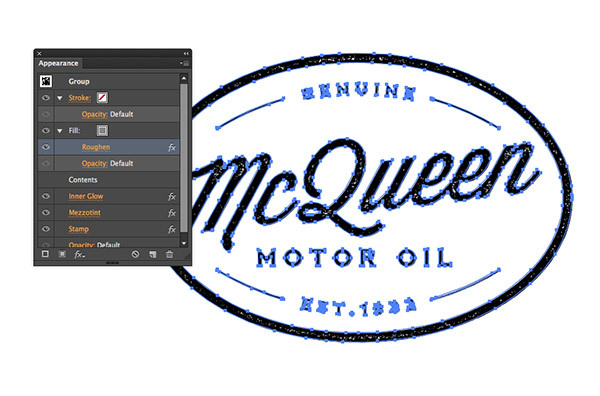 These ink stamp effect styles work best on logos or typography. Scale your artwork to around 500px for best results, then apply one of the four Styles with increasing levels of texture. Optional: Turn off the Roughen effect in the Appearances panel if you prefer to maintain clean edges, rather than the ink bleed look. To permanently apply the effect, first go to Object > Expand Appearance, then open the Image Trace panel from the Window menu. 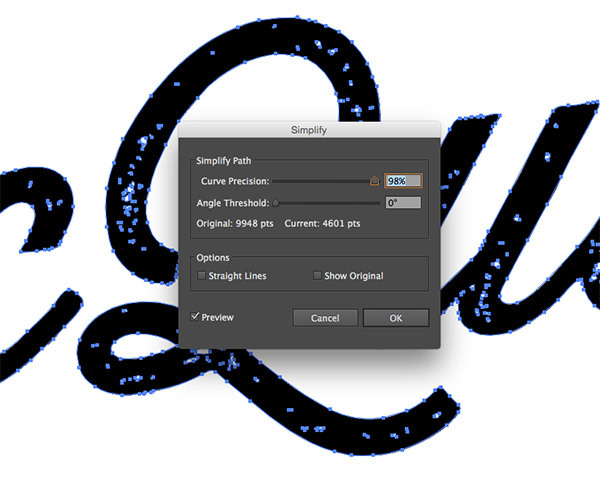 Configure the tracing settings to around 56 Threshold, 100% Paths, 100% Corners, 1px Noise. Deselect the Snap Curves To Lines option and check Ignore White. Click the Preview button to test the result. 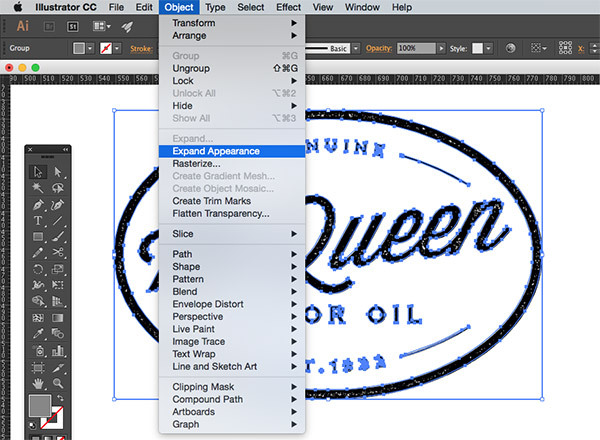 Go to Object > Expand to apply the Image Trace and convert the effect to vector paths. The logo can now be scaled to any size without losing quality or affecting the texturing effect. If you’re a little obsessive with your paths in Illustrator, head to Object > Path > Simply and enter between 98-99% to remove any unnecessary points. Can You tell me how to? Thanks a lot for your effort and work! Wow. These just work like magic. Absolutely amazing for lazy people (like me…). Thanks for these great awesome resources. Especially nice while the vintage look is increasingly trending these days. Thanks William, I hope you find them useful! FRIEND, MY NAME IS CLAUDIO OLIVEIRA, AM ART DIRECTOR AND HAVE A SMALL OFFICE. I’M FROM RIO DE JANEIRO – BRAZIL. THANK YOU VERY BIG YOUR HELP. I SIGNED UP ON YOUR SITE AND HAVE LIKED A LOT! THANK YOU VERY MUCH! BIG HUG! Thanks for sharing your creative skills with us chris! Its not easy to spend time and create these kinds of posts and share with others.. This is doing the kind heart persons they want to explore there creative skills to keep educate others as well.. Great job done keep it up!! 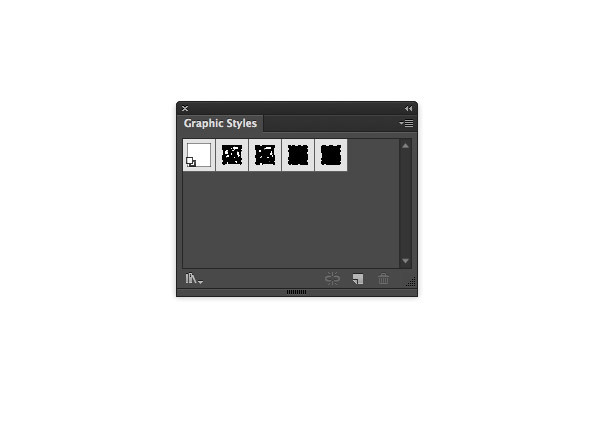 I’m using CS5 so they’re not appearing in my Graphic Styles selection – is there somewhere I can get a compatible CS5 version? Thank you! I included a CS AI file in the download pack. I don’t think this will loads directly into the Graphic Styles panel, but you should be able to copy/paste the elements from the document into a new file, which will transfer the Styles with it. In theory anyway! Thank you so much for sharing! I’m learning so much from your tutorials. How can I do the same with colour? If you change the fill colour it no longer looks like a stamp effect. Wow that is just too good. I am learning graphic design and these effects are going to help me a lot. Ooh! This will be neat to try! Thank you! Is there a way of achieving the same effect in other graphics programs? I don’t have Photoshop or Illustrator (so I can’t use styles or AI) & would like to try to making ink-stamp effect items. Great post, i have seen many blogs here but i must say this one this informative.. THANK YOU!!! 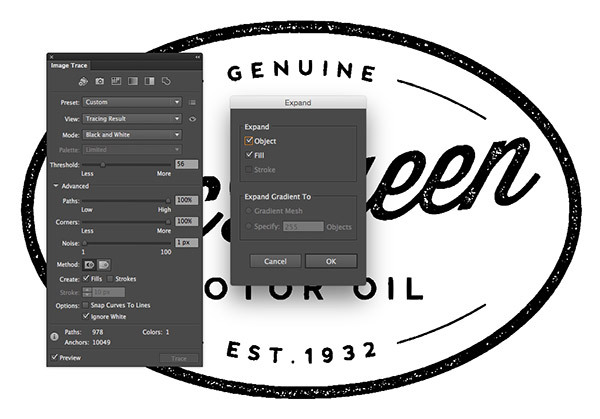 I have been trying on and off for years to come up with a good looking way of creating a stamped effect but could never manage it myself. I can’t wait to play with this. Amazing! 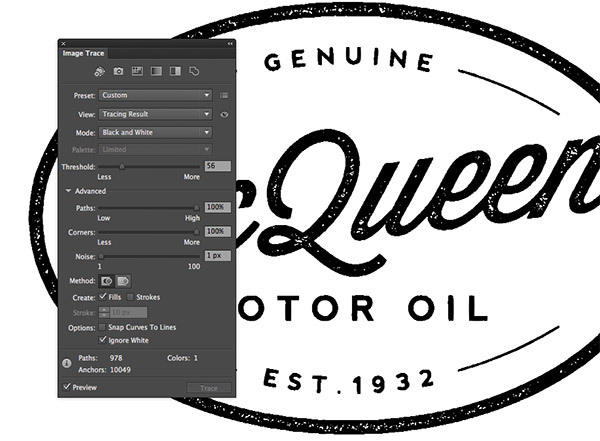 This is perfect for logos – thanks so much for sharing this awesome effect. Can’t wait to use it! thanks a lot. it will help a lot to my lessons. soon i’ll be sharing it with my students. Thank you for sharing. This will be very useful. nice tutorial thanks for sharing ..
Great look! Any chance you could also provide the instructions as a PDF in the downloaded folder? That way I have everything in one place when I need it.